Displaying 1-9 of 9 Found. Finger size hard wax filler sticks used for repairing nail holes, minor scratches, gaps in joints etc. Available in packs of 3 related shades. Finger size hard wax filler sticks for repairing nail holes, minor scratches, gaps in joints etc. 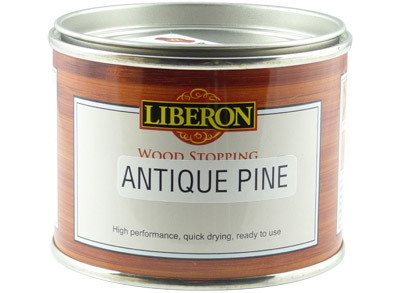 Each tin contains 3 shades each of pine, oak and mahogany, plus black. 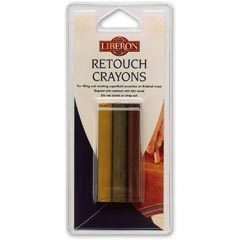 Liberon Wax Filler Sticks are used for filling minor scratches, nail holes & small cracks. Can be softened and moulded in by hand. Solvent based wood filler made from natural wood flour for use on timber prior to finishing. For filling minor cracks, nail holes, gaps in joints etc. 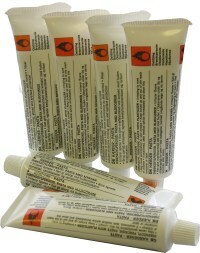 An oil based thixotropic grain filler in various colours. Medium "mud" constistancy for easy application. An oil based thixotropic grain filler. 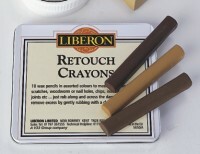 Can be overcoated with any finish. Displaying 1-9 of 9 Matches Found.